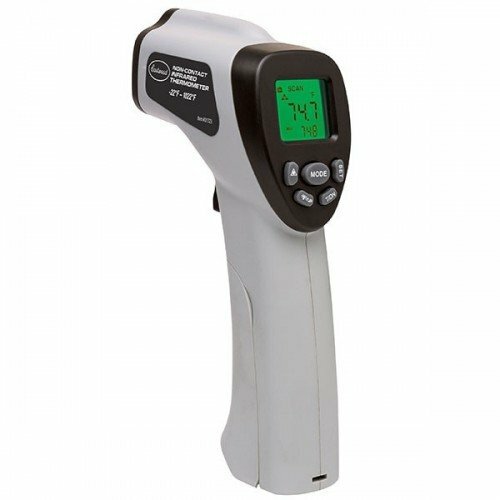 The Eastwood Non-Contact Infrared Thermometer is compact, rugged and easy to use. 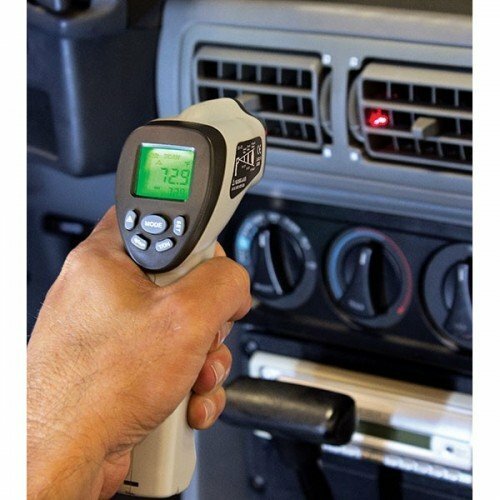 This infrared thermometer safely measures the surface temperatures of hot, hazardous, or hard-to-reach objects without contact. Simply aim and push the button to read instantaneous temperatures in less than a second. 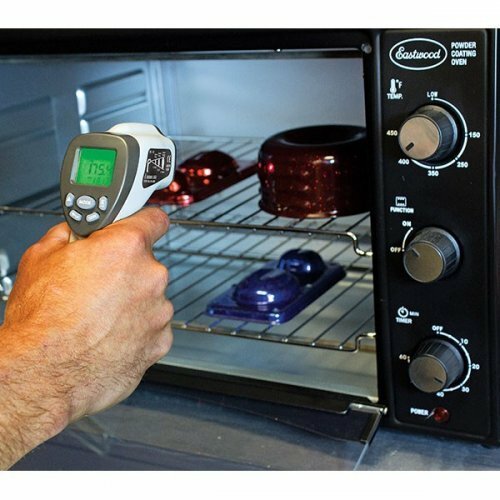 The infrared thermometer collects invisible infrared radiation emitted by the object being measured. This radiation is focused on an optical sensor in the thermometer and converted into an electrical signal. This signal, along with the emissivity of the material being measured, is used to calculate the surface temperature at the point of measurement. A red laser pointer helps the user aim the infrared beam for improved accuracy.